Mooi Bonito | Rosi G.
It was love at first sight. Even without touching it, I knew I had to have it. 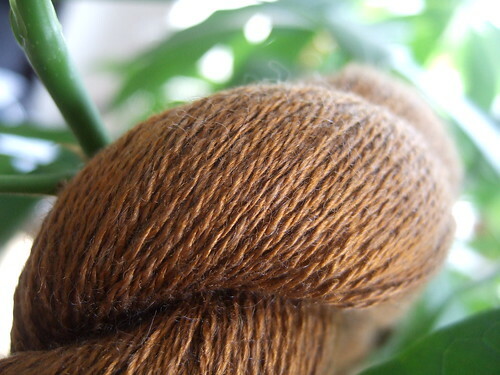 70% bamboo, 15% cashmere, 15% bison. Absolute heaven. 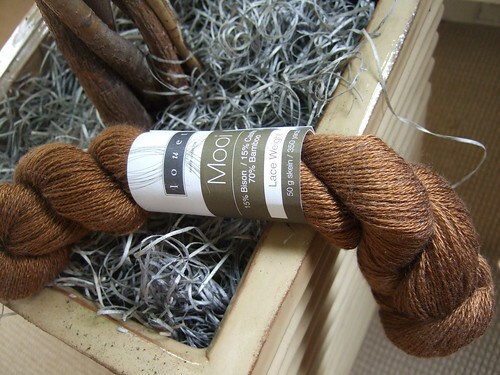 Louet Mooi Laceweight, Amber colorway, 350 yards. 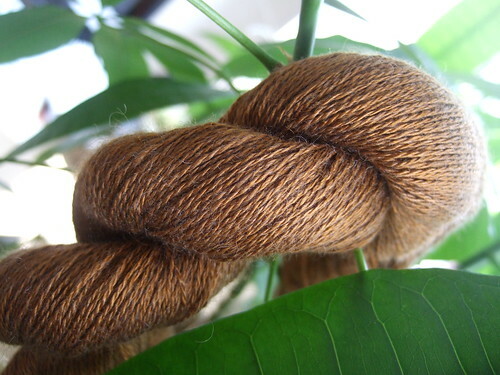 As soon as I laid my hands on it, I browsed and browsed and browsed Ravelry looking for the. perfect. pattern. Not to be found so I made up my own!! Previous PostMine are even prettier! !Next PostWaddya mean it’s been two years?? simply gorgeous. Can wait to see what you do with it. Mmm..that’s pretty. Not sure about the bison. I don’t do bison. It’s a college rival thing ;-). so stupid and so beautiful all at the same time. "The wife responded, "Allow me to explain. God made me stupid so I would be attracted to you!